Introducing the Hermes Spring/Summer 2016 Scarves. 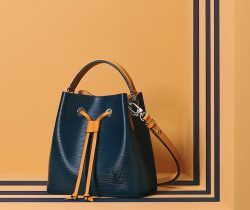 Hermes features reprints in their latest collection including Les Ailes Pleines de Joie, Manufacture de Boucleries, Cuivreries..
Hermes recently held a Press Day for their Spring/Summer 2016 Collection. Chic beach accessories were featured in the event like beach bags and..
Hermes recently presented their Spring/Summer 2016 Collection. The simple yet elegant and sophisticated collection features casual dresses and chic sneakers. The ready-to-wear items..
Hermes will be presenting their Spring/Summer 2016 Collection this October 5, 2015 at the Paris Fashion week. Catch the runway show live on..